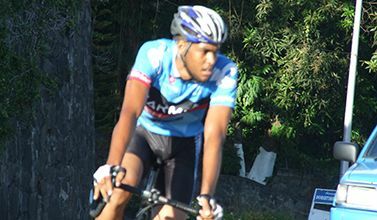 Antrobus, who was part of the St Vincent and the Grenadines team in the OECS Championships held here last August, but who did not complete the 70 mile circuit, threw his weight around to be first to cross the finish line in the 44.8 miles event. His winning time in the Under-40 division, was two hours 24 minutes 20 seconds, as he traversed the Argyle to the Arnos Vale Roundabout circuit, doing so twice. It was revenge for Antrobus, who last June was nipped at the finish line by Bailey in the Colonarie to Mt Grenan circuit 45-miler. Second was Zefal Bailey, a mere second slower, in two hours 24 minutes 21 seconds. The ever-improving Randy Wilkinson docked in third in two hours 29 minutes 20 seconds. But there continues to be no change in the Over-40 category, as Peter Durrant won again.